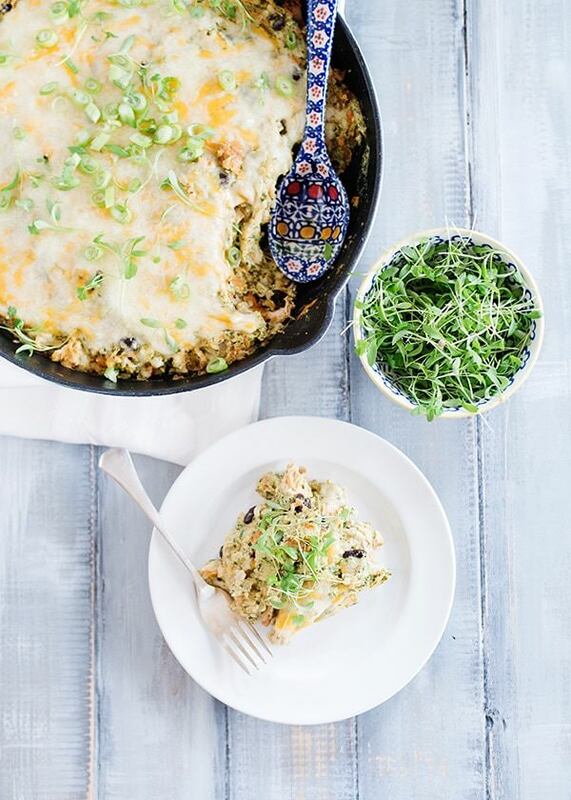 Green Chile Rice and Chicken Skillet Dinner is a delicious weeknight meal. Perfect for using some leftover chicken and cooked rice. A family favorite. Last spring I got to meet one of my cooking idols. 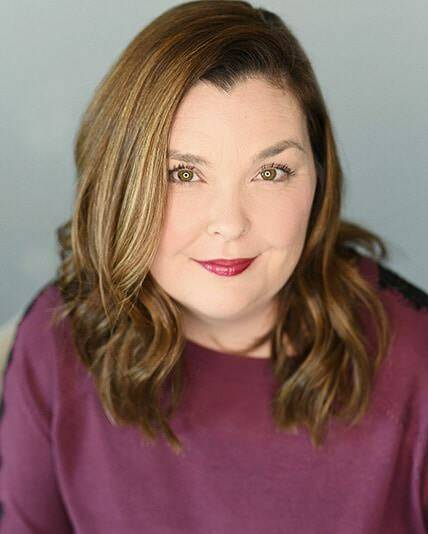 Sara Moulton is a pioneer in the food world. She was one of the first Food Network stars, and between her and my mom, I became a good cook. I watched Sara every day, she taught me to have better knife skills, season as I go, and taste everything. What I loved about watching her is what she made mistakes, sometimes burnt things, and it wasn’t a big deal. She rolled with it and made it work. She might be a fancy, professionally trained chef, but she is also a home cook. She’s a mom that cooked for her husband and her kids every night. She is the real deal. 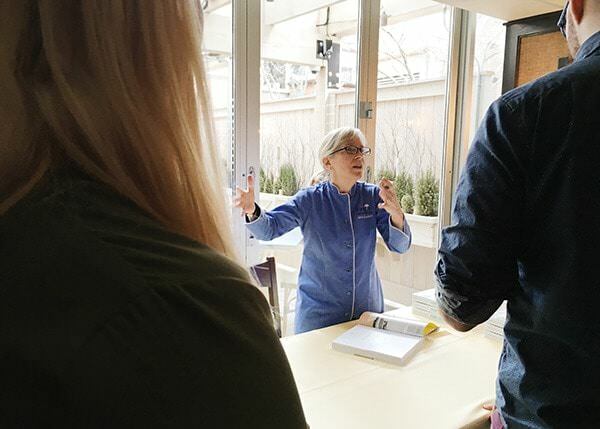 I was invited to a lunch at Harvest in Cambridge to celebrate her latest book, Home Cooking 101. We ate a few recipes from the book, and she demoed an amazing apricot souffle. It’s funny when you meet someone you really look up to and admire. Often you leave a little bit deflated and disappointed. The idea of the person doesn’t match the reality. (Totally not fair, by the way.) But I left that lunch even more enamored by her. She was exactly like all of the episodes of Cooking Live that I watched over the years. P.S. I still watch her on PBS most mornings. Sara’s Weeknight Meals is also a great cooking show. Another signed book to add to my collection. I cherish my books signed by their authors so much. She is on my shelf along with Julia Child, Martha Stewart, Giada de Laurentiis, and so many others. 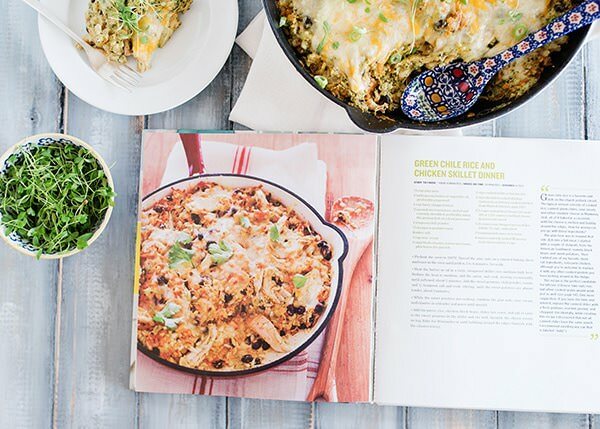 We loved this recipe for Green Chile Rice and Chicken Skillet Dinner. I make this when I have some leftover chicken and cooked rice to use. The sauce is made with pine nuts, and while that seems like a strange ingredient for a Mexican-inspired sauce, it completely works. 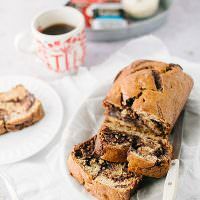 It is rich, smooth, and adds a little sweetness. I also had some micro cilantro, and topped the skillet with a handful. I love the micro herbs that you can get now. This skillet dinner is loaded with good things and truly delicious. 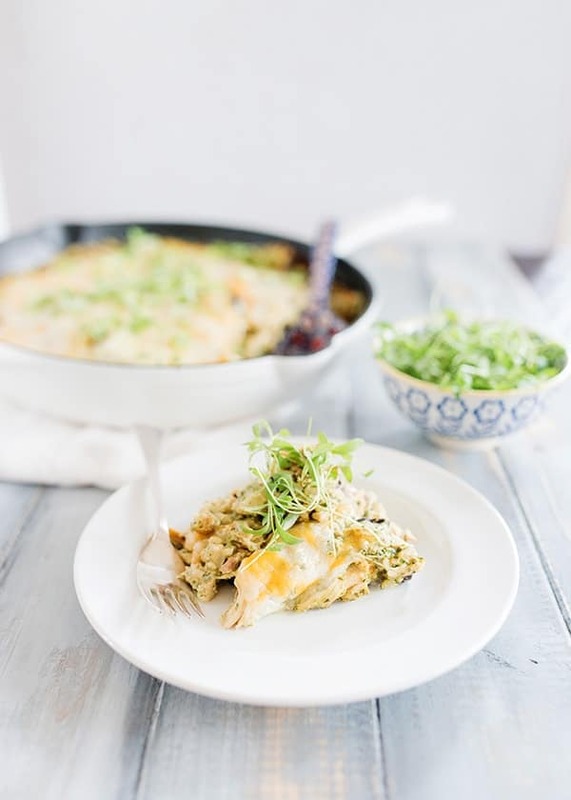 It’s great for a quick family dinner or for a house full of dinner guests. 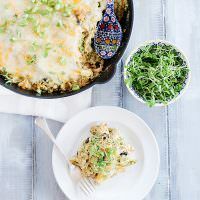 Green Chile Rice and Chicken Skillet is a delicious weeknight meal. Perfect for using some leftover chicken and cooked rice. A family favorite. Preheat oven to 350°. Spread pine nuts on a rimmed baking sheet and toast until golden brown, about 5 minutes. Set aside to cool. Heat the butter in a large, ovenproof skillet over medium-high heat. Reduce heat to medium, add onion, and cook until soft, about 5 minutes. Add the sweet potatoes, chili powder, cumin, and1/2 teaspoon salt. Cook until sweet potatoes are tender, about 5 minutes. While the sweet potatoes are cooking, add the pine nuts, sour cream, and cilantro to a blender or food processor and puree until smooth. Add the puree, rice, chicken, black beans, chiles, hot sauce, and salt to taste to the sweet potatoes in the skillet and mix well. Sprinkle the cheese on top. Bake for 30 minutes, or until bubbly and golden brown. Garnish with cilantro. From the Book Home Cooking 101 by Sara Moulton. i was just thinking about sara moulton the other day! i remember her taking *phone calls* during her show. so funny how “retro” that seems now, lol. i also think of her often while i cook because she always used to talk about her “impeccably clean hands” when she used her hands to do something. i feel like it was kind of a running thing, but it’s also possible she said it once and it just became one of those memories that really sticks with you. either way, she’s great. checking out her new book! I remember that too. I was amazed that she could cook on TV (which is SO HARD) and then be able to talk to someone else on top of it! She was amazing, I love her to pieces. I hope you like it. I love this skillet. It is different, but everyone loved it and that doesn’t happen very often.